Other Online Offers | Get Paid! *I am active on all of the sites listed on this page. If I determine that a site is wasting my time or resources, I am not going to pass that site on to you! After reviewing these offers, please visit this page to leave your brief feedback and opinions of GetPaid! NickelBoxTops - How often do you see the Box Tops for Education cutout coupons on boxes of General Mills cereal, Betty Crocker meal starters, or other grocery and paper product favorites? You know the distinctive purple, pink, and yellow design? If you aren't clipping them before throwing away the boxes and wrappers they are printed on, you are throwing money right into the trash, literally a nickel at a time! If you think they are worthless because you have no kids in school or you consider it too much of a hassle to cut them out and save them, maybe NickelBoxTops can change your mind! They will pay you five cents for every ten cent Box Top you submit. In a win-win scenario, they get 50% value on Box Tops they never would have otherwise obtained and you get 50% value for your trouble. 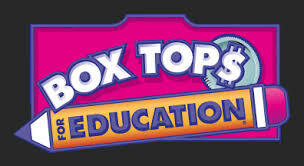 NickelBoxTops has just a few very reasonable conditions: you must have a minimum of 60 box tops per submission; you must send the box tops in increments of 20; and your box tops' expiration dates must be at least six months out. They pay VERY FAST by PayPal, or you can request a paper check mailed to your street address. I submitted my first package of box tops on May 26, 2015 and had the funds in my PayPal account on May 31st! So far I've earned over $19.00 from NickelBoxTops (including Box Tops that I've saved but not yet submitted). Like everything else on these pages, you won't make boatloads of cash with NickelBoxTops, but over time it will add up. GET PAID TO READ TEXT MESSAGES!!! FreeEats is a service which will pay you to read text message advertisements that they send to your mobile phone. You MUST have your mobile phone number linked to your PayPal account, so be sure to do that before signing up to FreeEats. If you DO NOT have a PayPal account yet, click here to sign up for one. Once you have a PayPal account and you have connected your mobile phone to that account -- sign up for FreeEats using this link and get $1.00 sent within a few hours to your PayPal account. I signed up for FreeEats in early January of 2015 and have already earned over $41.00 BY DOING ABSOLUTELY NOTHING AT ALL!!! In that time, I have not personally seen an increase in spam texts or junk advertising to my cell phone as a result of FreeEats. 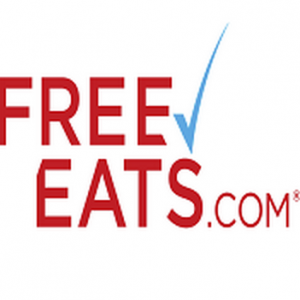 With FreeEats, there are no minimum cash out requirements. Each time you earn, that money is automatically sent to PayPal without any fees. Be sure to check your text messaging plan with your mobile carrier as any fees associated with text messages beyond your limit may apply and could offset your earnings from FreeEats if you are not careful. Often these sites provide an option to earn money for watching brief advertisement videos or earn money for conducting daily Internet searches from their sponsored search bar, or other small tasks like that. Once again, nothing huge, but a few cents or more a day turns into a few dollars or more each month. Sign up and spread the word! FusionCash pays by PayPal, check, or direct deposit once you reach a $25 minimum balance. Use this signup link and get started off with a $5.00 bonus! It is also very important that you complete your registration by verifying your email address when FusionCash sends you an email asking you to confirm your registration. This should arrive within minutes of your sign up. It is quite easy to earn cash daily from FusionCash, but make sure you come back daily to increase your earnings. FusionCash combines surveys, PTC, and offers in its earning package. You can get an additional $3.00 bonus EVERY MONTH simply by becoming an active member of their online message boards. Contribute at least 30 meaningful posts per month and you will earn $3.00. Clixsense used to be one of the best PTC sites out there, but they recently jettisoned their PTC model due to a growing negative perception given to PTC sites - which led to PayPal dropping service to Clixsense in early 2017. In July 2017, Clixsense underwent the significant change of dropping PTC ad clicks and instead emphasized their tasks and offers as the primary earning source for their users. Although the loss of PTC may impact the way that you earn, Clixsense is still a strong, viable, and honest site well worth your effort. Watch this short 45 second video for a quick overview of what you can do with Clixsense. If you use Clixsense: you can download and install the ClixAddon for you favorite browser to improve your earnings. Through its evolution and changes, I've earned over $1,356.00 from Clixsense since February 2010!!! myLot is a discussion forum and blogging community with thousands of users across the world. Discussions range from a wide variety of topics and questions. Jump in and share your ideas and get paid in the process. The more you interact with other users, they more coin you stand to gain. I joined myLot in May of 2016 and have earned over 75¢ since then. I do not visit and contribute regularly, which is the reason why my earnings are so low. Inbox Dollars works on the same concept. Read e-mails, sign up for offers, take surveys, search the web, AND GET PAID TO DO IT ALL! I've earned over $261.00 from Inbox Dollars since January of 2012. 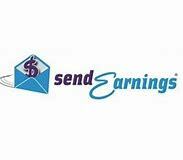 Very similar to Inbox Dollars is Send Earnings. They are similar right down to the very layout of the pages, if you are familiar with one, you will immediately pick up on the layout and design of the other. I did not join Send Earnings until January of 2018, but I have already earned over $16.00 using the site. Sign up to Send Earnings now using the links here and get an immediate $5.00 bonus upon confirming your registered email! You might also take a look at SwagBucks which offers a similar model of searches, completing offers, watching sponsored videos, taking surveys and daily polls, etc. I've earned over $122.00 from SwagBucks since late December 2012. They offer PayPal as a payment option and a great variety of gifts cards as options to cash out your earnings. MyPoints pays you when you search, complete surveys, download coupons, make purchases, watch videos, play games, and numerous other activities online! Sign up with MyPoints and download the companion app for your smartphone. I joined MyPoints in February of 2016 but only began using it regularly in July of 2017 and have earned over $48.00 so far. (It does have other money making options if you want to check it out, but I usually just do the daily checklist that only earns a few pennies a day). Register with Microsoft Rewards (formerly Bing Rewards) and earn points by searching the web using the Bing search engine or by surfing the web using the Microsoft Edge browser. You can also earn points by clicking on daily offers, or other miscellaneous tid-bits displayed on your Microsoft Rewards dashboard page. I joined Microsoft Rewards in late February 2014. I've earned over $383.00 so far, with no end in sight! They offer a wide range of gift card or charitable donation options in exchange for the points you accumulate. I've converted most of my points into Amazon gift cards. Usually when you use a search engine online, you are given "sponsored results" along with the standard search results. The sponsored resulted are highlighted or set apart from the others in effort to get you to notice and click on them first and those sites have paid for the prime positioning. Qmee is available as an add-on for the most popular web browsers and offers its own "sponsored results" to any searches you perform on the standard web browsers. The twist is that YOU get to reap some of funds paid by these sites to be placed in your search results. Install the add-on (if you use multiple browsers to search, be sure to install the add-on to EACH browser), run a search and click on the sponsored results that appear under the Qmee logo for a few coins. I joined Qmee in December of 2014 and have earned over $28.00 to date. They pay through PayPal and there does not appear to be a minimum payout requirement. One bit of advice that cost me a few dollars, but will hopefully earn a few extra dollars for some of you. When you are presented with multiple Qmee search results, be sure to hit your BACK button to see if any of the un-clicked search results remain and click on EACH one. Initially I did not realize that sometimes the other paid search results remain active and pay out even if you choose to click on another result first. I left dozens of paid search results as unpaid orphans before I realized I could be credited with more than one result. But also know that some of the search result payouts decrease in value if you do not click that result first! DraftDay is one of those daily fantasy sport sites where you can compete to win cash prizes in a daily fantasy league. DraftDay is open to all* residents of the United States and Canada with the exception of Alabama, Arizona, Delaware, Hawaii, Idaho, Illinois, Iowa, Louisiana, Mississippi, Montana, Nevada, New York, Texas, Virginia, Washington, Puerto Rico, and Quebec. (This list may have changed since I last updated this information, so be sure to check the terms and conditions on the DraftDay site to be sure you are eligible). *You must be age 18 or older to participate in DraftDay. There are TONS of open game formats on DraftDay. Some are free, some require a buy in deposit of varying amounts. If you sign up using the DraftDay link, you can get $15.00 in buy-in game credit! Click the link, sign up, and choose your lineups carefully! I started playing DraftDay in October of 2016 using credits converted from another smartphone app and I stopped playing regularly in January of 2017 when my "free" credits ran out. In that short time I have earned over $87.00. Mindswarms is a survey panel where you respond to questions by recording a short 60 second video using a computer web cam or a smartphone. After signing up, you record a short sample video on a question they provide. Clients of Mindswarms can then use your sample video along with survey preliminary responses to determine if you qualify for a paid video survey. If you qualify for a video survey, you will receive an e-mail notice and a short period of time to record and submit your video. If you wait too long, you will lose your spot, so make sure you get it in quick! Mindswarms offers two different survey models each designated by color coding. Blue studies are generally 7 questions long and result in a $50 payment. Orange studies have only 1 question. They pay $10, but may include higher compensation on occasion. If you are picked and you submit your video within the time allotted, you will receive payment via PayPal usually within 24 hours! It's the best of three worlds: quick and easy surveys; great reward scale; and FAST receipt of your payment. The only drawback is that you will likely have a lot of offers that you do not qualify for, but the time you spend attempting to qualify is VERY MINIMAL. I joined this panel just before Thanksgiving 2012. I tried a number of qualifier surveys and was selected to do a video survey in early December of 2012. I received my first $50 payment from Mindswarms on December 10, 2012, less than three weeks after signing up! I've currently earned $110.00 from Mindswarms -- there hasn't been much going on here for me in quite a while, but I keep it around for the potential for large earnings on short work. Good luck! What are you waiting for? GO MAKE SOME MONEY!!! Pingback: App Trailers – Smart Money from a Smartphone | Get Paid! Trackback: App Trailers – Smart Money from a Smartphone | Get Paid!